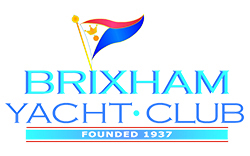 Brixham has plenty of accommodation suitable for sailors and families alike - ranging from camp sites, holiday parks, bed and breakfast, small hotels and holiday cottages to let. The following information is believed to be correct at the time of writing, and is for interest only. You are advised to check facilities and information. Century Touring Caravan & Tent Site. Approx 12min walk / 2 min drive from BYC – Pitches for tents, caravans and motor homes. Under new management, newly built facilities. Approx 20 min walk / 5 min drive from BYC – Static caravans for hire. No Tent pitches or motor homes. Indoor pool, family bar, launderette. Approx 35 min walk / 8 min drive from BYC - Pitches for tents, caravans and motor homes. Disabled facilities, two dishwashing areas ,launderette with washing machines , tumble dryers and ironing facilities. Approx 35 min walk / 8 min drive from BYC – Static caravans for hire. No Tent pitches or motor homes. Approx 10min drive from BYC - Pitches for tents, caravans and motor homes, also holiday cottages to let. Small shop, large shower & toilet block, pot wash and laundry room. Approx 10min drive from BYC - Pitches for tents, caravans and motor homes. Bar, games room & disabled facilities. Brixham is blessed with many excellent B&Bs, guesthouses and small hotels ranging from the small family run house to fine hotels. 3 Star Hotel with excellent facilities inc swimming pool and fantastic views of the bay. Approx 25min walk or 4 min drive from BYC. 3 Star Hotel. Approx 6min walk or 2 min drive from BYC. There are plenty of agencies offering holiday lets, fisherman's cottages etc. These are easily found on the internet by searching Brixham Holiday Lets or below are some web links you may find helpful.